GMIT has launched a new BA (Hons) in History and Geography (GA887) which will be delivered at its Mayo campus from September. The course which can now be applied for through the CAO, meets the Teaching Council's requirements for entry to the Professional Master of Education programme for History and Geography. Graduates of the course will acquire key professional skills, valued by employers, that will equip them for a range of careers in areas such as environmental conservation, genealogy, rural and community development, ecotourism, historical research and roles in the museum sector. GMIT Mayo Head of Campus, Dr Deirdre Garvey, says level 8 degrees such as this are in demand by college entrants. "The programme builds on the campus's existing strengths in the areas of history and geography, exemplified by the teaching and research of staff. Our staff's track record of publication and presenting at international conferences, in addition to teaching, reflects their commitment to the disciplines of history and geography." 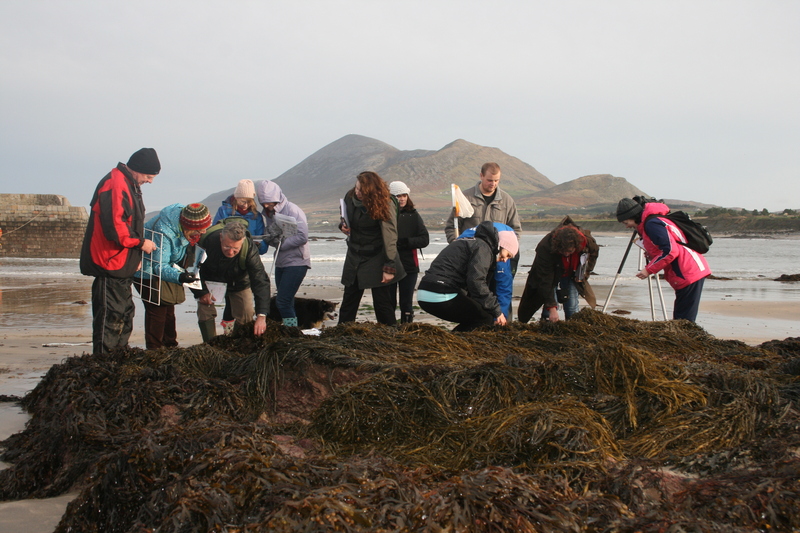 GMIT Mayo students undertaking fieldwork. Ms Fiona White, Programme Chair, says there is still time to apply to study at college for September 2016. "The change of mind facility is available until 1 July. We encourage potential students who are interested in the programme to contact us to learn more". "Students can expect a strong focus on practical learning, especially in the environmental aspects of the programme, with learning taking place on fieldtrips, whether local, national and international; in addition to the use of our customised laboratory".